Mahler’s Jewish heritage gave him both specific musical sources and an ear for the outsider’s voice. 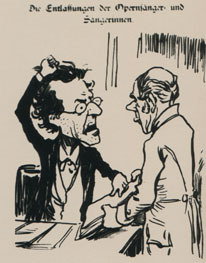 Mahler’s Jewish identity was a subject of much discussion among his contemporaries. The melodic shapes and intensity of expression were often cited as evidence. Intensity could border on the histrionic, as in the first movement of the Fifth Symphony, when the tinny sound of a small band suddenly interrupts the solemn cortege. 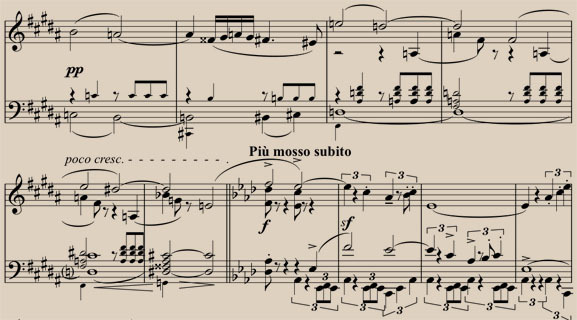 In the second movement of the Fifth Symphony, the heart-felt leap of a ninth in the slow sad march becomes a circus-like“whoop-dee-do” in the quick one.